Large meat companies have fought the against public’s right to know about the practices and conditions of animal factories. Some companies have pushed states to pass legislation known as “ag gag” laws that forbids any undercover filming, photography, or documentation at animal factories and punishes anyone who comes forward with evidence of animal welfare violations in animal factories and slaughterhouses. In 2007, an investigator for the Humane Society of the United States documented animal welfare violations in a large slaughtering plant, releasing a video of sick cows being pushed with heavy machinery, electrically shocked, and dragged to slaughter. In 2009, a hidden camera taken into a veal slaughtering plant documented a U.S. Department of Agriculture (USDA) inspector’s failure to shut down the plant after witnessing a worker attempt to skin a live calf that had unintentionally ended up with the slaughtered calves. Since these events, industry actors have attempted to prevent such whistle-blowing from continuing by making the capture or public release of such documentation punishable by large fines or jail time. CFS and a number of other advocacy groups have spent considerable legal and grassroots effort to prevent these “ag-gag” laws from passing and challenging them in court if they do. Ag-gag laws are a threat to animal welfare and food safety. By criminalizing investigative activities that could keep contaminated food off the market, ag-gag laws prevent the public and the government from learning about practices that increase the risk of food safety outbreaks. Beef and poultry are two of the top five offenders in terms of food-related illnesses. Information about the conditions in which the animals are kept and processed before reaching consumers is critical to ensuring a healthy and safe food supply. 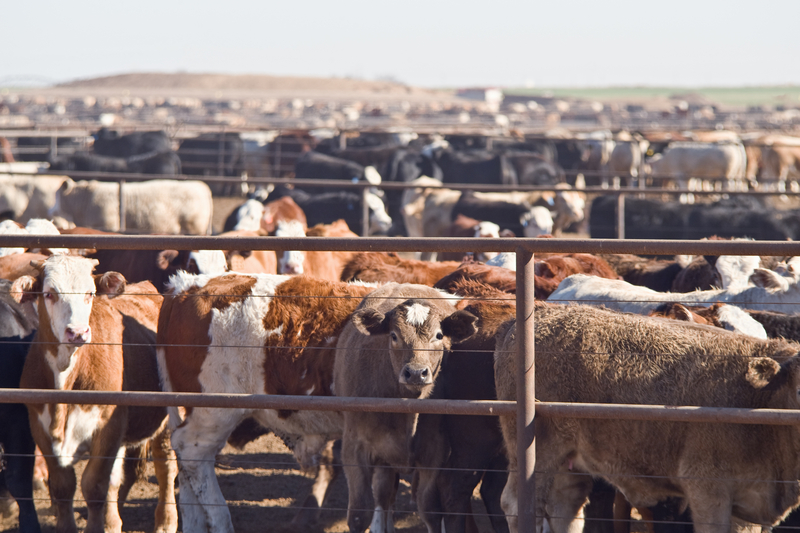 Federal inspections and oversight can fail, and private investigations play a key role in stopping cruel treatment of animals and preventing contaminated meat from harming consumers. The manufacturers of animal drugs also hinder transparency and access to critical information. In order for the U.S. Food and Drug Administration (FDA) to approve an animal drug product for use, companies must submit a packet of application materials, including scientific investigations demonstrating whether the drug is safe and effective for use in animals, and the potential impacts of the drug on human and animal health. The danger in this is that the drug companies themselves, not the FDA, have the discretion to decide what studies or information they submit. CFS’s own research shows that in many cases there are few substantial studies available that have fully investigated the effects of animal drugs on animal, human, and environmental health. FDA routinely violates the Freedom of Information Act (FOIA) by ignoring our requests to access the research submitted to FDA by drug companies in support of a drug’s approval. Industry continues to be secretive about the evidence it has regarding the safety of drugs or their potential negative impacts. As a result, and contrary to the clear mandates of federal law, the burden of proving that these harmful drugs are unsafe falls on the public. Secrecy also exists within misleading food labels. Federal law requires processed food labels to include every ingredient, but meat labels are not required to indicate the numerous drugs and additives that were given to the animals. This keeps consumers in the dark, which is particularly dangerous considering that residues of certain drugs and chemicals may be present in or on the meat that reaches your table with little science available that investigates their impacts on human health. Requiring meat packaging to be clearly labeled with all inputs that may directly impact the consumer would allow consumers to make truly informed decisions in the market.